Do any of you know of some really good mystery books that are written for +/- nine year olds? If so, please post a comment. Thank you! Here are some suggestions for children’s mystery books. As usual, you should take a look at the suggested age level and/or reading level that is given on each book. Louise Moeri: A Horse for X.Y.Z. Lois Snelling: The Yellow Cup Mystery, etc. Wendelin Van Draanen: Sammy Keyes and the Hotel Thief, etc. Access the Edgars database for past nominees and winners. Thank you, Bridget, these books look great! Nana B and Danna Try Encyclopedia Brown books they are about that age for kids. Also Clue by A.E.Parker has some books for kids 9 to 12 based on the characters from the board game. You can probably get them at bookstores or even Ebay, amazon.com doesn’t have them. Hope this helps on a couple. Thank you, Alfred, for telling us about the Clue Mystery Series. I just added them to the list of Mystery Books for Pre Teens. You’re right… they look like they’ll be difficult to find, but well worth the quest. I have to recommend Nancy Drew. There are the classic ones and then there are the newer additions to the series that are more modern. Nancy Drew is a a great cozy series and there are a ton of games and things to do with Nancy Drew even now. There is a computer game series that you can play on your computer that is quite fun now. I grew up reading Nancy Drew books and still have all them as I can’t bear to part with them. Great series! Kimberlee, I just added Nancy Drew to the list of Pre Teen Mystery Books. I actually have one of those Nancy Drew computer games! A friend of mine (an adult Cozy Mystery reader) recommended it to me. When I was a kid I much preferred Trixie Belden to Nancy Drew. As a character, Trixie was much easier to relate to because she wasn’t perfect. One thing I want to point out to those interested is that Julie Campbell wrote only the first six books of the series (The Secret of the Mansion, The Gatehouse Mystery, The Red Trailer Mystery, Mystery off Glen Road, The Mysterious Visitor, and Mystery in Arizona.) After that the books were written by someone else and start feeling formulaic and the characters just didn’t ring true (bearing in mind that I read these books 50 years ago!) My 22-year-old daughter read them more recently – more like 12 years ago and she liked them a lot too. Hmmm…. Lois Snelling is another vintage childrens mystery author that I was lucky enough to find as a child. A little dated, now, but there are a couple on Amazon fairly cheaply. I don’t know where the requester is, but British author Enid Blyton wrote literally hundreds of books, including a lot of wonderful mystery / adventure. The majority are still readily available. For a 9 yr old, I’d suggest starting with the “Famous Five” (All have Five in the title) or the “Adventure” series. Wonderful books, all! Thank you, Susan. I will go add all of these authors to the list. These additions look great! 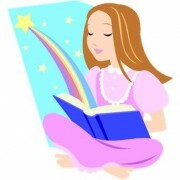 NanaB: There is a website (booktrends.org) that has reviews of books for children and young adults written by kids. There is a list of subjects that includes mysteries. Also, there is an age range that you can click on. This might be helpful in finding out what is new and what other kids really like. Mary Downing Hahn’s middle-grade books are wonderful. Some are ghost stories and some (like Edgar-winner Closed For The Season) are traditional, non-paranormal mysteries. Also, I don’t know if they’re available anymore, but I loved Alfred Hitchcock and the Three Investigators when I was a kid. Thanks, Jon, for telling us about Mary Downing Hahn. I’ll go add her to the list of mystery books for pre-teens. Also, thank you for telling us about Robert Arthur’s Alfred Hitchcock and the Three Investigators collection. I have added them to the list as well. I love the site! I find I still will pick up an old version Nancy Drew or even a Bobbsey Twins mystery at a rummage sale. They are good reads for a rainy day, or at the end of a long stress-filled week and I am 31 years old! Also the older ones give a look into a different way of life for younger kids these days. I know I’ll continue reading them! Thanks for all the info! Welcome to the site, Sarah. I’m glad you found us! When I heard that the publishers had actually updated the Nancy Drew mysteries, I absolutely could not believe it. I think that most people are choosing to stick with the old versions, as you are doing. Thank you so much, Traveling Reader, for this great list of mysteries for pre teens. I have added them to the list of Mystery Books for Pre Teens. My children would have benefited a lot from the works of all these authors who dedicate themselves to fostering the love of reading in children. Actually, Traveling Reader, I wasn’t sure Alan Bradley’s Flavia de Luce mysteries were for children… (I haven’t read them, so relied on the fact that it won the 2009 Agatha Award for Best New Novel… which I thought might have meant it was intended for adults. I am going to go add Michael D. Beil’s Red Blazer Girls series to the list. Thank you, Traveling Reader. I have Katherine Hall Page’s Christie & Company Mystery Series on the list, and will go add Kim Harrington’s Sleuth or Dare Mystery Series right now. The Happy Holisters by Jerry West is another mystery series I read as a child. My oldest child read them when she was eight or nine, and enjoyed them as much as I did! Thank you, Sprite, for telling us about Jerry West’s The Happy Hollisters Mystery Series. I am going to go add it to the Mystery Books for Pre Teens right now! The Tweenage Detectives is a good clean mystery book for children of pre-teen age. Sold on Amazon as an e-book. No website yet, working on it. Thanks, Mia, for telling us about The Tweenage Detectives. I just found the equestrian mystery page, and was reminded of this one. A very good children’s horse mystery called ‘A Horse for XYZ’, by Louise Moeri. Probably 10 – 12 age group. I had a copy, and although I wasn’t as horse-mad as some girls, I still loved it. Susan*, thank you for telling us about Louise Moeri’s A Horse for X.Y.Z.! There’s also The Secret Series by Pseudonymous Bosch. It has a bit more adventure then your average mystery series but it’s a good safe read for kids. Hime, thank you for telling us about The Secret Series by Pseudonymous Bosch. Richard, thank you. I have added them to the Pre-Teen list.